So I’ve introduced you to the worst face wash. Now let me introduce you to the best. 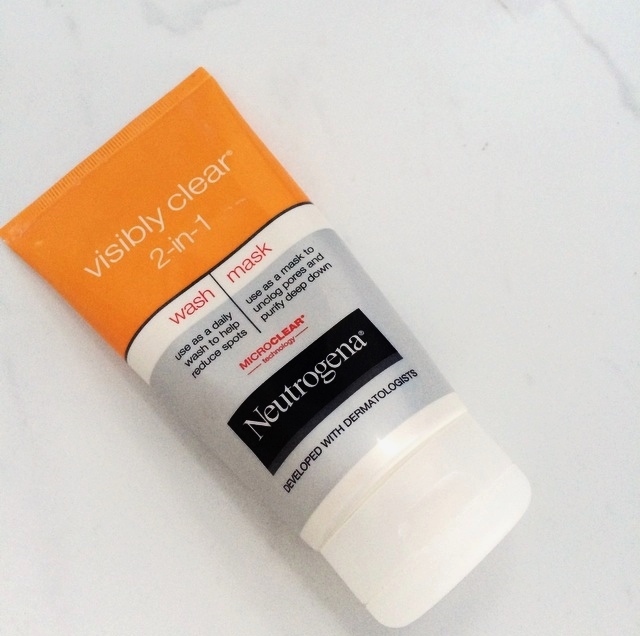 Girls, meet Neutrogena Visibly Clear 2 in 1 Wash and Mask. Offering a solution to spots, it aims to clear oil and ‘remove spot-causing bacteria.’ The texture is quite thick and creamy, and depending on your needs you can use it as a quick all over face wash, or leave it on until it dries into a mask to really unclog pores. Unlike the directions on the bottle, I wouldn’t recommend using the product both morning and evening if you have normal/dry to dry skin. In fact, if you have really dry skin I’m not sure I would recommend using this product at all. My skin is normal/dry, and I tend to just spot-apply, excuse the pun, so just apply where you need it and leave. For me, this is around my chin and jawline. It dries out the spots wonderfully, and stops them spreading. A mini horror story for you all to demonstrate the drying-out powers of this face wash: I once forgot I had the mask on, and didn’t wash it off for over an hour; the next morning I woke up and my skin was so so flaky in certain areas on my face. So much so, that I had to coat it in E45 and adjust my normal make up routine. Don’t let this put you off, though! One thing I will stress, this is definitely aimed at people with spots, and so if you’re looking for an everyday face wash, I would probably go for something gentler. You can purchase Neutrogena’s Visibly Clear 2 in 1 Wash and Mask (bit of a mouthful) from most drug stores or supermarkets, for a cheap and cheerful £3.79. What’s your favourite face wash?